1. Whisk together dressing ingredients, set aside. 2. Combine cranberries, walnuts and carrot. 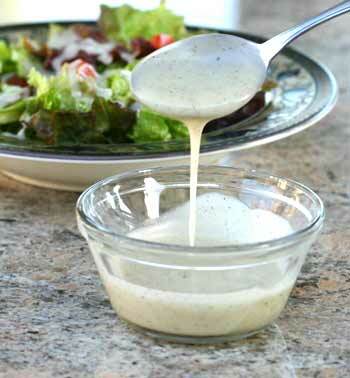 Toss with about 1 tbsp dressing. Mix with salad greens. Plate. 3. Place apple pieces on nicely on top of salad, fanning out. 4. Drizzle with remain dressing. The Apple Cider & Garlic Vinaigrette is a cook’s favourite dressing – you can serve as is or personalize to fit your cooking style. Like all vinaigrettes, this one loves to be coaxed into performance to make your salad the best.